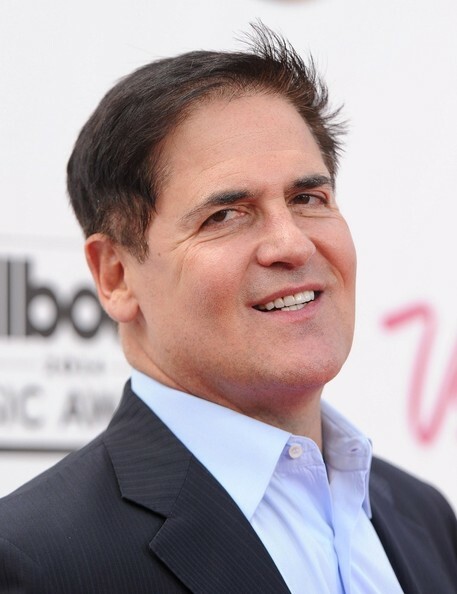 *Dallas Mavericks owner and “Shark Tank” shark Mark Cuban, attempting to make a nuanced point about society’s challenges dealing with racism, acknowledged having his own “prejudices and bigotries” during an interview with Inc. magazine that went viral today, according to ESPN.com. “In this day and age, this country has really come a long way putting any type of bigotry behind us, regardless of who it’s toward,” Cuban said Wednesday. “We’ve come a long way, and with that progress comes a price. We’re a lot more vigilant and we’re a lot less tolerant of different views, and it’s not necessarily easy for everybody to adapt or evolve. Cuban’s comments come in the midst of Los Angeles Clippers owner Donald Sterling’s racist remarks and the NBA’s attempt to force him to sell his team. Sterling was banned for life and fined $2.5 million by NBA commissioner Adam Silver after the release of a TMZ recording in which he told a female friend, V. Stiviano, not to bring black people to Clippers games. On Monday, Sterling was charged with damaging the league with his racist comments, and he has until Tuesday to respond to the charge. If Sterling does not respond by then, that would be grounds for termination. Silver’s decision of a lifetime ban for Sterling is subject to a vote by NBA owners in June, with the commissioner needing three-quarters of the vote to enforce his decision. Speaking at the annual GrowCo convention, hosted by Inc. magazine, on Wednesday in Nashville, Tennessee, Cuban said he knows how he’ll vote but isn’t ready to comment on it. Cuban pledged his full support of Silver’s ruling after the fact, but he had been guarded on his comments on the subject since then until appearing at the GrowCo convention Wednesday, when he reportedly said he hates that he might have to be hypocritical with his vote on the matter of Sterling. The point Cuban attempted to make during his videotaped interview with Inc. magazine was the importance of helping people evolve from their prejudices and bigotries. 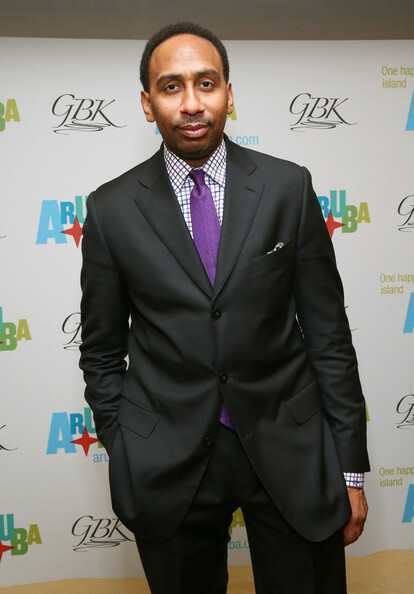 Meanwhile, TMZ reported that African American ESPN commentator Stephen A. Smith applauded Cuban’s honesty. “I took no issue whatsoever with what Mark Cuban said … not only because he was forthright, very candid and honest … but also he happens to be correct,” Smith said. Cuban has taken some fire for the comments, but Smith says the people attacking him are missing the point. “So if you’re gonna have a problem with what he said about the black person with the hoodie on, then you gotta have a problem with the white person he alluded to with tattoos all over. View the reactions of ESPN’s Michael Wilbon and Bomani Jones here. Mark Cuban is just being honest, I applauded his bold stance on this issue. Thank you Mark for expressing how a lot of people feel, but dare not say. I agree with Cuban’s comment – everybody has a certain amount of bigotry behind closed doors – Sterling was just being stupid…and got BUSTED!! Now, he’s been fined 2.5M, I’m sure he’ll button his lip. Where there are “menacing” characteristics, in the other subjects?, a “Black” kid/person only has to have a fkn “hoody” ‘on, & “that” lil garment substantiates his fear/bigotry!?? Like…WTF didn’t he say “ANYone” in a hoody, at night etc..!!?? And…yall “celebrate/”dap him UP” fuh dis shyt!?? Wow, wooooooooooooow……”WOW”! SMGDH! Like…we all have “opinions” n shyt?, but y’all outchall muthaFKn miiiiiiiiiiiiiinds, ‘on this one! GTFOH!!! Ps….& SAS?, knows his sports etc..?, & should just STFU & “stay there”, b/c otherwise?, is a loudmouth, arrogant muthafkah, who’s “Blackness”?, is seeeeeerious suspect at “best”!!!! Mofo aaaaalways “leans away “FROM” his own. So…Fk “him” TOO!!! Yeah….”I.S.I.”!!! Ps (again!) and whether y’all realize it or not?, y’all have just “condoned” the actions of one G.Zimmerman, & the murder of…”Trauvon Martin”. HTF is ANYone’s insecurity, UNFOUNDED!!!! insecurity, justification for “violently/offensively reacting” prematurity, b/c of a fkn…”personal” problem!!?? I’m sayin….you can be “afraid”?, but you can’t assume SHYT, nor should you conceive the notion that “your” problem is someone “else’s” to solve!! And let’s not lose site of the fact that….most ppl with these kinds of “opinions”?, are mofos who “don’t know” or kick it with ANY other than their …”own” kind! Their “feelings/opinion” reflect that very “distance”! And “owning a fkn team”?, doesn’t “count for”/excuse, or mean a GD thang contrary TO that!!! For…”tolerating” others b/c they bring you maaaaaaad “coin”?, isn’t diversity at all, it’s merely…..taking advantage of a GD opportunity, & making money “off of” ppl you “reeeeeeeally don’t respect. I.E. ?, nooooooo different than “D.Sterling”! So WkTF UP!! !, you’re all just being “seduced into validating”….racism. DaFOH!/TJBT sum moe!! There are so many happy negroes in America today and less African americans. Cuban just told back America that if your son is walking towards him on the street that he (cuban) has a right to think be cuz he’s a black kid wearing a hood sweatshirt that your child is a thug? Isn’t this the reason George Zimmerman chase down trayvon and confronted trayvon? Sure cuban was honest, he knows he’s a racist, he’s made covert racist remarks before as a latino. Cuban is not white. “Cuban just told back America that if your son is walking towards him on the street that he (cuban) has a right to think be cuz he’s a black kid wearing a hood sweatshirt that your child is a thug” true Cuban do and should have the “right” to think what ever he want, he just don’t have the right to harass, hurt or kill just because he don’t like what my kid wear.